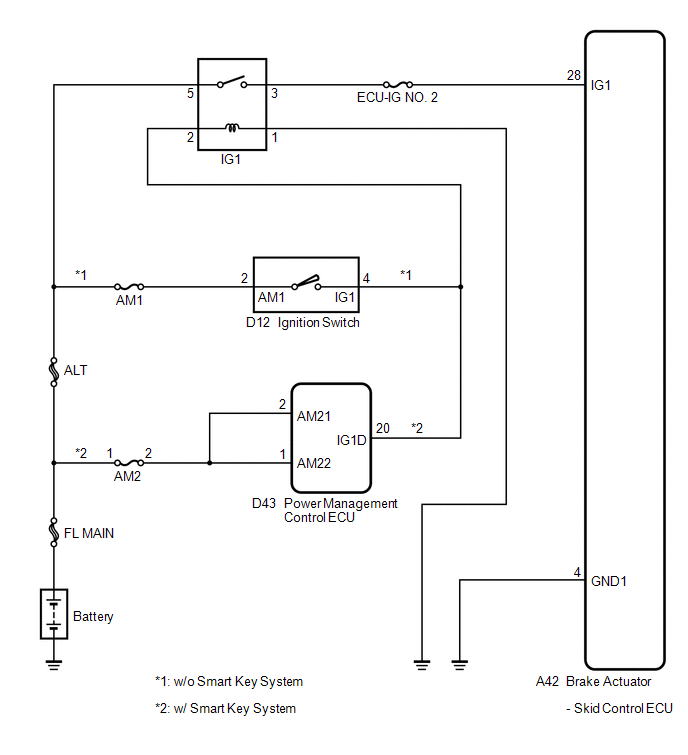 If a malfunction is detected in the power supply circuit, the skid control ECU (housed in the actuator assembly) stores this DTC and the fail-safe function prohibits ABS operation. This DTC is stored when the IG1 terminal voltage deviates from the DTC detection condition due to a malfunction in the power supply or charging circuit such as the battery or alternator circuit, etc. The DTC is cancelled when the IG1 terminal voltage returns to normal. IG1 terminal voltage is 16.7 V or more. IG1 terminal voltage is 9.6 V or less when ABS does not operate. 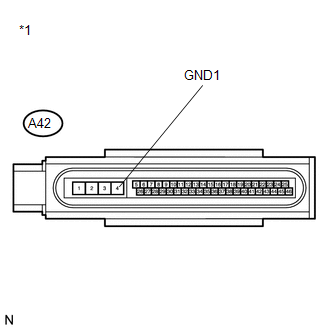 IG1 terminal voltage is 9.2 V or less when ABS operates. 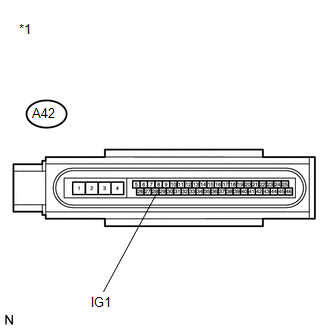 (a) Remove the ECU-IG NO. 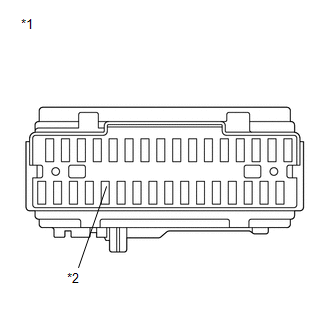 2 fuse from the main body ECU (driver side junction block). (a) Install the ECU-IG NO. 2 fuse. (b) Check the battery voltage.